What Is The Best Gift For Drummers? Drum whilst not stirring the pots! The DrumDial is the original and best precision drum tuning product. It works by measuring the tension around the drumhead and allows for incredibly fast and consistent drum tuning. In a matter of minutes the DrumDial Precision Tuner is able to help achieve fantastic sounding drums with very little effort thanks to it’s easy to read analogue display and moveable locators to mark tuning ranges. Using the DrumDial myself makes my life so much easier when it comes to tuning drums. It can be a real pain especially when tuning the resonant drumheads. This product is the perfect gift for a drummer who wants to get the best tones from his drums quickly and efficiently! This awesome drumstick bag is the perfect accessory for any drummer! It is presented in an eye-catching army camouflage style design and it’s a really useful piece of kit. It’s made of a heavy-duty nylon and has plenty of compartments to store drumsticks, mallets, brushes, drum keys, earplugs and all the other essentials for the modern drummer. This Meinl Designer stick bag is also equipped with useful hooks enabling it to be attached to a floor tom for easy access to sticks during any performance. Whether this is for the next road-warrior touring drummer or practicing hobbyist this is an absolute must-have accessory! Zoom make the best handheld recording devices that capture high quality sounds without the need for a whole recording studio setup! They are incredibly portable and convenient as well as being easy to use. This Zoom H1 Recorder features built-in stereo condenser microphones in 90-Degree x-y format. It is super easy to use, with a clear on-screen interface and one-touch button controls. The microphones are capable of capturing audio from a full band rehearsal with clarity and superb quality. Handheld recorders make some of the best gifts for drummers because listening back to performances is the single best way to correct errors and improve as a musician. This Evans RealFeel practice pad is the best practice substitute to an acoustic drum set, and it can be played absolutely anywhere! This high quality pad consists of two different playing surfaces. One side is made of natural gum for a realistic drumming rebound, and the other side it is comprised of a natural harder recycled rubber that makes an excellent workout pad. This pad is a joy to play and it’s super portable, allowing any drummer to develop greater control and speed anywhere! This practice pad is the perfect addition to any drummer’s arsenal. 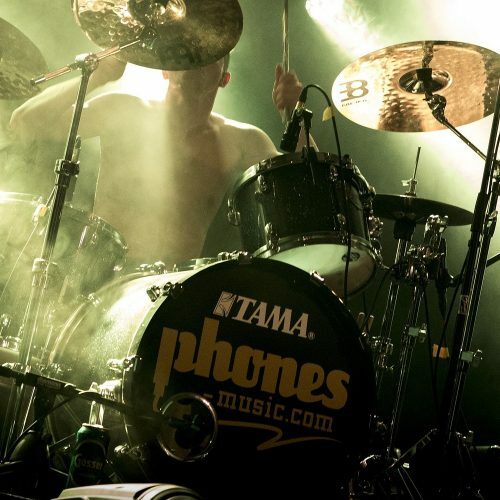 Earplugs might not make the coolest gifts for drummers. But they are undeniably important. 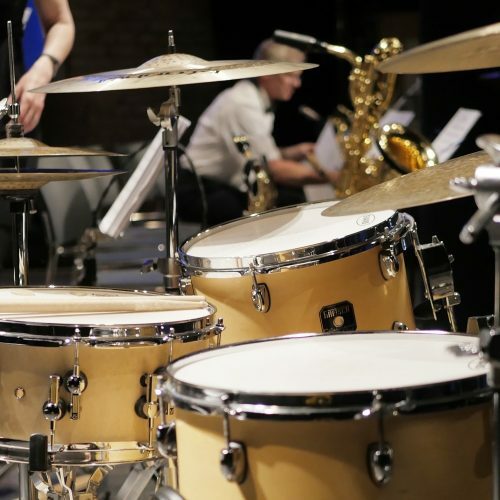 Drummers are exposed to incredibly loud noise for extended periods of time, and hearing damage is irreparable. These Etymotic earplugs significantly reduce the risk of hearing damage by blocking out 20dB of sound. As well as offering vital noise reduction they also enhance the music listening experience. It’s a good habit to begin wearing earplugs for concerts, rehearsals and any other musical activity that involves being exposed to loud noise. This gift is not overly fancy, but how important is to protect a drummer’s hearing? The Big Fat Snare Drum is a really cool product that instantly transforms the sound of a snare drum to a vintage sounding 70’s snare with loads of depth and punch! It works by lowering the fundamental pitch of the drum without the hassle of tuning. Simply placing the skin on top of the existing snare head is all you need to do! It creates the signature classic tone of a big fat 70’s snare drum with plenty of warmth and power. This is an awesome gift for any drummer looking to expand his drumming sounds, and it’s incredibly easy to use. This product makes it easier than ever to replicate an authentic vintage snare. The Big Fat Snare Drum is very new and innovative thus one of the most unique gifts for drummers available! 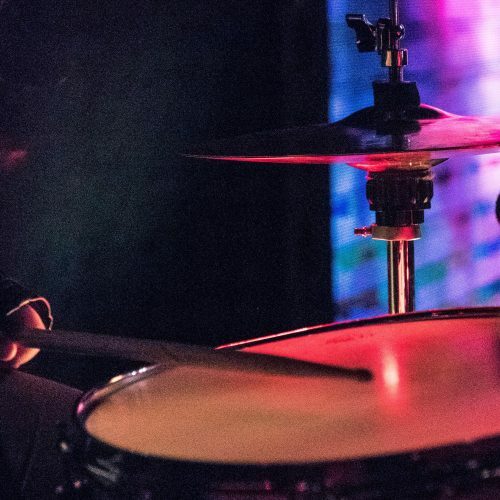 Snareweight are a new company that have been creating some of the most innovative drum dampening devices and are already a hit amongst professional drummers worldwide! This Snareweight M80 Drum Dampener provides 4 different levels of dampening and features a patented clip that allows it to grip with all sized snare drum hoops! This genuine leather drum dampening device will allow a drummer’s snare drum to have the right about of punch and power whilst cutting out the unwanted ringy overtones. Snareweights make great gifts for drummers who are ready to conquer stages with the perfect snare sound! Are you tired of the drummer in your life stealing the pillows to put inside his bass drum? If so then this is the greatest product you could stumble across! This product is a specifically designed pillow that sits inside the bass drum with Velcro and offers the optimal level of dampening and sound absorption. The Evans Bass Drum Pillow is a really useful product that will make a bass drum sound great, and ensure your drummer won’t be losing all the pillows across the house! This awesome drumstick caddy will ensure that a drummer is prepared the next time drumsticks are dropped at a gig! This useful Vic Firth Drumstick Caddy clamps easily to any stand or piece of hardware, which means that the next stick can easily be grabbed just in case of any mishaps. It’s a well-built and functional accessory that a drummer might well owe a lot of thanks to when the next stick accidentally goes flying into the crowd! This awesome drinks holder conveniently fastens to any piece of hardware with a strong clamp and allows a drummer to have his refreshing drink within reach when he needs it most! The Vater drinks holder is made from high quality metal and features an easy to use fastening system that offers supreme durability. This is a really useful and popular product that makes the perfect accessory for live performances. Meinl have developed a really cool product with this innovative ching ring. 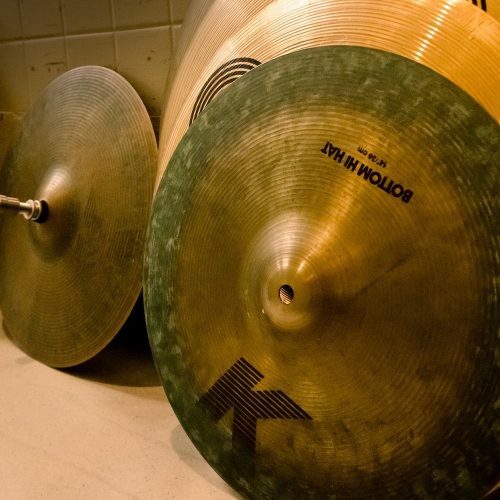 It works by attaching to a hi-hat or any other desired cymbal to blend a funky new sound to a drummer’s existing setup. It is comprised of five pairs of stainless steel jingles that are mounted in a lightweight metal ring, which creates delightfully unique sounds. The excellent value of this product and it’s unique sound characteristics make this one of the best gifts for drummers for it’s price. The Meinl Ching Ring is a great value gift that offers a lot of potential for fun and experimentation behind the drum set! This DW cymbal arm is a super versatile and useful piece of hardware. It is innovative because it able to attach to any other boom cymbal arm and it saves a lot of space. 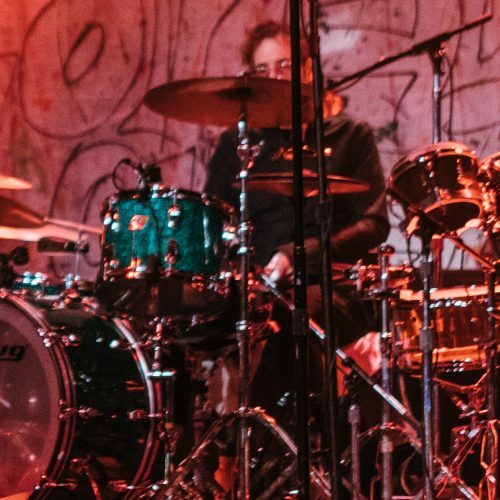 It is highly practical and allows for a drummer to experiment with different cymbal setups across a kit. It is a rock-solid piece of hardware and any drummer will always appreciate DW products as a gift! This Zildjian Mouse Pad is simply the ideal mouse pad available for any drummer! It features a padded underside that won’t slip and has a high quality Zildjian print on top. This is a really simple but effective gift that will get a lot of use! Especially when a drummer can’t be playing the drums but still wants to have his hands on some cymbals. It’s very unlikely a drummer will own one of these- it’s up there alongside some of the most unique gifts for drummers on the market right now. Meinl has developed this stylish and great sounding shaker that sounds perfect under the microphone. It has been designed to deliver great sounds live and as well as in the studio. This Meinl Percussion Shaker provides smooth percussive sounds that blend well with other instruments and offer an extra percussive layer to the music. The quality of construction is great, as you would expect from Meinl, and comes with a 2-year guarantee. The versatility and smooth sounding nature of this shaker make it a good choice for drummers looking to expand their musical horizons! This is one of the most unique gifts for drummers I could find, and it’s perfect for the drummer in your life that loves to cook! It is a 10” diameter cutting board that is made of 100% real bamboo, and features the classic Zildjian Constantinople engraving on top. The Zildjian Cutting Board will go down a treat with any drummer that loves cooking up unique flavors in the kitchen as well as unique beats behind the drum set! Perfect for drummers that cook! Whilst we’re on the topic of gifts for drummers who enjoy cooking, these drumstick wooden spoons will also make a fantastic addition to a drummer’s kitchen crockery. Each solid wood spoon measures 13 inches long, and means a drummer can practice his rudiments whilst he’s not stirring the pots in the kitchen! These fun and useful drumstick spoons will surely be one of the top gifts for drummers who love to to cook! Not suitable for real drums! Who doesn’t love a cowbell! This awesome Pearl cowbell is fully welded and offers a great, distinctive cowbell sound. It features a 6” bell and has a really bright and clear tone. This cowbell is a great gift for a drummer looking to explore different sounds and interested in incorporating new percussion into his existing drum kit setup. Might not be a drummer's thing! This brilliantly versatile Multitool drum key is the perfect companion for any busy drummer. It features 13 different tools that are all heat forged and stowed away in an eye-catching anodized orange body. With this useful tool the drummer will have every hex key and screwdriver used for tuning, changing, adjusting and tweaking drumming equipment at his disposal. As well as this the Pearl Multitool Drum Key has a handy bottle opener! This is a shining example of one of the best gifts for drummers that offers a practical solution and will save a drummer from any last minute frustrations at the gig. This awesome little product is exactly what it says on the tin. It’s a handy drum key as well as a bottle opener that comes on a lanyard too! I love this product and I have it on my own set of keys. This nifty Gibraltar Drum & key Bottle Opener offers two practical solutions in one and it’ll save a drummer at a show as well as allow him to open up a beer after the set! Can save a drummer at a gig! Promark has developed a really cool product that enhances a cymbal’s sound by adding a classy ‘sizzle’ for effect. The Promark Cymbal Sizzler is easy to install and remove. It features a long chain of small metal beads that is attached to a felt. The sizzler adds a soulful and classy sustain to your cymbals which is perfect for jazz and soul music. It opens up a wide range of new sounds for cymbals and is a lot of fun to play! Hot Rods are a great new addition for any drummer’s stick bag! They are a hybrid of drumsticks and brushes, and they produce a snappy and tight sound from drums. These Promark Hot Rods feature nineteen premium birch dowels and are 16” long in length. They also feature a smooth vinyl gripping area that offers comfortable playing. They are designed and manufactured in the USA for the highest quality. Hot rods are really versatile and fun to play with. They are great for blues, funk, hip-hop and fusion music as well as plenty more genres! If the drummer in your life loves to care for and maintain his drum set then this is the perfect cymbal-cleaning product to buy! This cymbal cleaner has been specially formulated to clean and protect brilliant finish cymbals in one quick and easy application. This Zildjian cymbal polish truly does work wonders. It restores cymbals back to its natural gleaming shine and collects all the dirt and residue that finds its way onto the cymbal surface. It’s a great value product that works exceptionally well, and will last a very long time. It’s not one of the most unique gifts for drummers but it does perform an important role with drum set maintenance! A single bottle lasts years! Zildjian has produced a drummer’s survival kit that contains everything a drummer might need at a gig! It’s packed with a useful assortment of components that could very well rescue a drummer in distress at the last minute. Lots of these items included are essential for a drum set and could very well come in handy. If you are looking through this list of gifts for drummers and you really want to find something that could be of important service, then this is exactly the right product to buy! Maybe the drummer in your life believes he has everything drum related? Well he won’t have these! These are a fun pair of novelty drum socks that are made from cotton, nylon and spandex for a comfortable fit. They come in one size that fits men’s 10-13 and you can choose from blue or red. These make a comical gift for a drummer and I’m sure will get plenty of worthy recognition! Lastly we have this novelty drummer mug makes a hilarious gift for any drummer who wants to show why he’s the best drummer in the house! The imprinted design displays the funny nutritional facts on both sides of the mug and it is microwave and dishwasher safe. This mug is a funny novelty gift that is sure to make the drummer in your life feels like a rock star whilst drinking his morning coffee! It can definitely be daunting trying to find a gift for a drummer in your life, especially when most drummers know exactly what they like, and they might even believe they have everything they already need! It is also difficult to know what to buy when you don’t know much about drumming products or equipment! 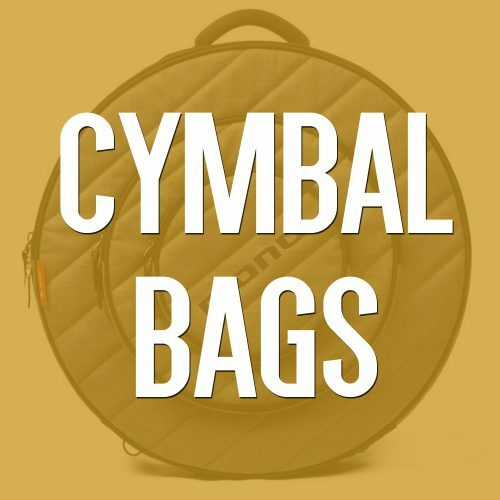 Well, rest assured that this list of gifts for drummers is packed with practical, unique and high quality products that the drummer in your life will definitely love. I have selected a wide variety of gifts which all have value in different ways. Many of these gifts for drummers are intended to inspire and help further creativity such the Big Fat Snare Drum. Other items I have included are incredibly useful tools to help enhance a player’s ability such as the Evans Practice Pad and the Zoom H1 Recorder. Both of these products are really high quality tools that will allow a drummer to progress quickly. Some others provide a functional and practical solution to problems that drummers face: such as the Vater Drinks Holder or the Vic Firth Drumstick Caddy. These provide a convenient solution and allow a drummer to have a drink on stage, and to have drumsticks within reach during a performance. Or if the drummer in your life loves to cook, then he will certainly appreciate a Zildjian Cutting Board or Wooden Drumstick Spoons to keep his hands busy whilst in the kitchen! These two make unique gifts for drummers that spend as much time in the kitchen as they do behind the drum set! 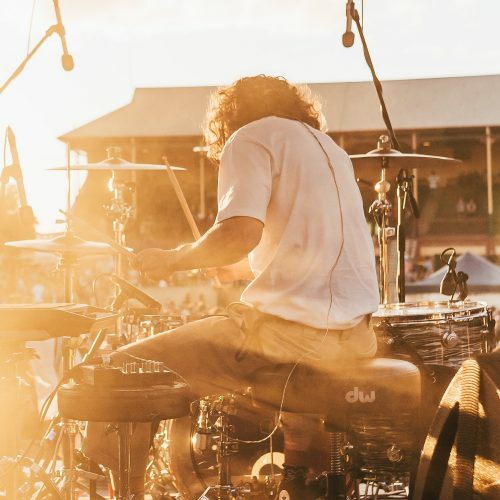 Whether you are looking for a gift for a drummer’s birthday, on the hunt for Christmas gifts for drummers, or simply want to say a special thank you, you definitely can’t go wrong with any of the gifts in this guide. 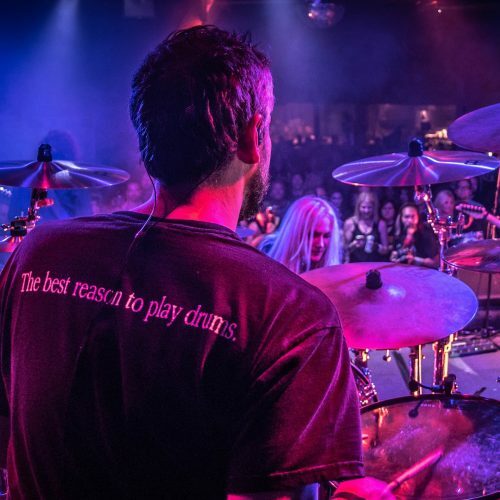 I’m pleased to be able to present to you this list of unique gifts for drummers to help make it easier for you to choose the perfect gift that they will genuinely appreciate for a long time! 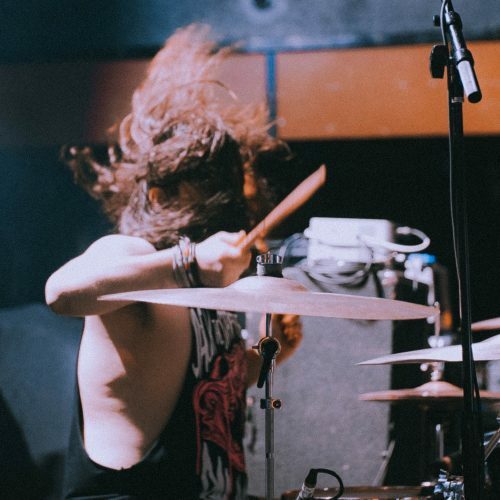 Whatever your budget might be, there is something to suit all budgets from this list, and you can be confident knowing that these products are all 100% drummer approved and guaranteed to be appreciated whatever the special occasion may be!